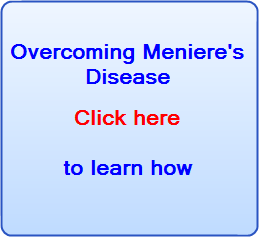 The specific case for using supplements when you have Meniere's Disease is well documented on another page, please click here to read. For success stories of people using supplements and managing their diet please read here. Below is a general justification for the use of dietary supplements and eating fresh organic food based on scientific evidence and data. The conclusion of anyone reading and understanding the article below will almost certainly be that the case for eating fresh organic produce and supplementing that with quality nutriceuticals is overwhelming. The human body needs more than 100 nutrients each day if it is to function as it is supposed to. Our health is ultimately determined by the state of the simplest living biological unit in the body, the cell. These cells combine to make up every organ and tissue in the human body. We are made up of around 100 trillion cells that are constantly being replaced by new cells. Around 24 billion are being renewed every day. For example the surface of the small intestine is completely replaced in 5 days. We have new skin every 27 days and the bones are renewed every two years. If we provide each cell with the right amounts of water, air and dietary nutrition, it goes a very long way in keeping this �new body� healthy and disease free. 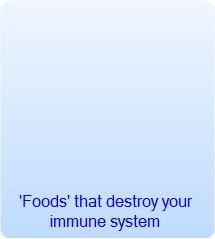 If the body�s nutritional needs are constantly met then each cell will be replaced by a healthy new cell and in turn the immune system will be strong, resulting in the proper function of our organs. The question is; do we provide our bodies with enough nutrition to be sure that each new cell is as healthy or more so than the one it has replaced? Even if we give ourselves a good balanced diet, this is no longer considered good enough. Most of us are chronically nutritionally deficient and we do not even realize (Dr Bannock Human Nutrition). This deficiency goes unnoticed for years and results in sickness and disease such as cancer and heart disease later in life. The problem is that deficiencies in vitamins and other essential nutrients usually show no obvious signs until the onset of degenerative disease. The reason a 'good balanced diet' may no longer be sufficient is that the food most of us eat today is itself drastically deficient in essential nutrients. There are several reasons for this. Centuries of deforestation and over farming has caused soil erosion on such a vast scale that scientists at a Seattle conference in February 2004 claimed it is a problem on the same scale as global warming (The Guardian Feb 14th 2004). Without natural protection the mineral rich topsoil is washed and blown away by the wind and rain. In many areas it cannot be naturally regenerated quickly enough. UN figures show an area big enough to feed the whole of Europe has been so severely degraded it cannot produce food. According to scientists at the conference, soil erosion is already a serious problem in Australia, China and the USA. As the world's population eats more of the same foods, more and more food is being produced on already exhausted land and a fraction of the topsoil that was there say 50 to 100 years ago. All of the deficiencies and problems that are present in crops and livestock are magnified at the top of the food chain, in humans. Scientists in the 1930�s warned that restricted fertilization would result in a rise of chronic, degenerative diseases. Now conditions such as heart disease, cancer and adult onset diabetes are appearing more and more in the developed world. The food we eat has had much of its nutrient content greatly decreased or even destroyed before it reaches our plate. Firstly when crops are taken from their source (picked or cut) oxidation starts. As the crops are exposed to oxygen the vitamin content is slowly destroyed. If you take into account the transportation of the crops then often several months of cold storage, by the time they are on display in the supermarket the vitamin content is shockingly low. When oranges were picked in a study in Florida they averaged 180mg of vitamin C. Randomly selected oranges from the same crop in the supermarket contained at best 70mg and at worst only trace (The American Journal of Clinical Nutrition, November 1982). Nutrients are further destroyed by exposing them to unnatural environments such as when foods are canned, dried or even frozen. Finally, heating food destroys vitamins and separates and loses minerals, so over cooking is a problem. Most people�s nutrient intake does not even reach the standard (RDA) Recommended Daily Allowance (Dr Bannock). The RDA is a very basic guideline, which is a recommendation of MINIMUM levels. The RDA doesn�t take into account the individual�s need. We have different nutrient needs depending on size, age, mental and physical health and the amount of physical activity undertaken. Moreover RDA would seem to be nothing but a myth when �biochemical individuality� is taken in to account. We all have similar nutritional needs but never exactly the same. Vitamin A is a nutrient, which if over-dosed in can be toxic and warnings are issued regularly, especially to pregnant women. Yet low-income pregnant women in the U.S. were shown to have inadequate levels of vitamin A (Nutrition Research Vol. 15 No 9, 1995). Vitamin A is crucial for normal growth and development of the foetus. The list of studies reporting nutritional deficiencies is too numerous to mention in this paper. Add to all these deficiencies, the pollution of the air, water and soil. As a result cancer-causing free radicals are constantly bombarding our bodies along with toxic chemicals and heavy metals. High levels of nutrition are needed to combat these added stresses on our bodies. We are clearly no longer getting a sufficient intake of nutrients with just a �good balanced diet�. The view that we are is an outdated one. 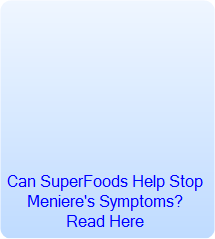 Modern science tells us we are in need of vitamin and mineral supplementation. Good quality supplements that provide optimum nutritional intake are now seen as essential. Even the traditionally conservative American Medical Association has reversed its long-standing opposition to vitamin supplements. Following research by Dr Robert Fletcher and Dr Kathleen Fairfield of Harvard University, the association�s journal (JAMA) advised in 2002 that all adults should take at least one multi vitamin pill per day. Fletcher said, �Even people who eat five daily servings of fruits and vegetables may not get enough of certain vitamins for optimum health. Most People, for instance, cannot get the healthiest levels of folate and vitamins D and E from recommended diets�. Higher quantities of nutrients achieved through supplementation have been shown to have very positive effects on human biochemistry. In the old days people would be perhaps advised to take individual vitamin supplements for certain problems, for example Vitamin C for colds. Today the need for �optimum nutrition� is understood, where the body is constantly supplied with the maximum amount of nutrients needed in the correct ratios to each other. This way the cells in the body can use the nutrients needed and excrete the rest. The body is given the materials to take care of itself. Vitamins and other nutrients work together in synergy. Moreover supplements and a good diet are not mutually exclusive. Supplements should be taken with a diet of high quality balanced food. The nutrients from both sources will work together. And when all the correct nutrients are present the body can function smoothly. If there is too much of one nutrient or not enough of another, gross chemical imbalances can occur. 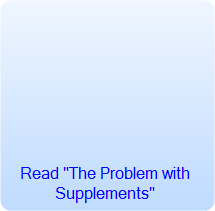 We should therefore be careful not to just pick any pack of supplements off the shelf, but should be sure the product supplies the full spectrum of nutrients each and every cell in our bodies need. When comparing the quality of foods, both organic and conventionally grown, most data available greatly favors organic. The nutrient content appears to be of better quality and contamination less. Some of the arguments for organic foods are similar to that for the use of nutritional supplementation. These are: the reduced nutrient quality of conventionally grown foods in recent years, and contamination by such things as pesticide residues and nitrates from fertilizers. Several studies, done over long periods of time, and comparisons of contemporary data with that from the past show a worrying reduction in vital nutrients in common foods. When you add the fact that foods on the supermarket shelves may well have lost much of their original nutrient content while in cold storage and transit, the picture becomes even more alarming. When American nutritionist Alex Jack, compared an old 1975 USDA handbook list of nutrient values with a more recent list published by the USDA he discovered that the nutrient value of many foods had dropped dramatically. Calcium in broccoli had decreased by 50%, Iron in watercress down 88% and Vitamin C in cauliflower down 40%. So what are the reasons for this dramatic fall in nutrient content in the foods we buy at the supermarket? Nutrient depleted soils and modern farming techniques. As the world population continues to grow, more and more food is being produced on already exhausted land and a fraction of the topsoil that was there say 50 to 100 years ago. An analysis comparing British nutrient data from 1930 and 1980 showed reductions of essential minerals in both fruit and vegetables. According to this report average calcium content had declined 19%, iron 22% and potassium 14%, in the 20 vegetables compared. The Author Anne-Marie Mayer said, � Agriculture which relies on NPK fertilizers and pesticides, that adds little organic matter to soil and that alternates between soil compaction and ploughing, could produce food depleted in minerals. Generations of forced food production has put a huge strain on already depleted soils. As far back as the 1930�s scientists in the US were calling for re-mineralisation of soils. Full re-mineralisation was considered too expensive by the food industry so the use of NPK started. Basically fertilizers with only the three major minerals, Nitrogen, Phosphorus and Potassium were and still are being used. All of the deficiencies and problems that are present in soils, crops and livestock are magnified at the top of the food chain, in humans. Wander down the aisles of your supermarket and you will most likely find rows of bright, shiny fruit and vegetables. In Japan, farm produce usually has to meet certain criteria for size and shape before it even makes it onto the shelves. Buy a carton of strawberries there and you will find each strawberry almost exactly the same shape, size and bright shiny red color. Check out an organic food shop and the produce may well look less appealing. The apples and peppers have probably not been polished up, the oranges may look smaller and the carrots and other root vegetables strange shapes. The question is; are the more esthetically pleasing fruits and vegetables found in the supermarket higher in nutrient content and subsequently any healthier? The answer, according to most studies and reports is no. On the contrary, organic foods would seem to have much higher nutrient quality and moreover, less likely to contain contaminants from synthetic fertilizers, pesticides, nitrates, herbicides, fungicides, veterinary drugs and so on. A review of available research on the nutritional value of organically grown and conventionally grown produce was done at John Hopkins University. It was concluded that organic produce was superior. The composition of vegetables grown simultaneously under different farming conditions was compared. In an agricultural field experiment in Sweden that lasted 32 years (1958~1990), crops of wheat, clover/grass mix, potatoes and beets were grown using eight different fertilizer treatments. The focus was primarily on crop quality. The experiments compared conventional farming with biodynamic farming. They found that in the case of organic potatoes and wheat, crude protein content was lower, but protein quality was higher (i.e. relatively pure protein and essential amino acids, lower amounts of free amino acids). In the wheat, starch quality seemed higher. Potatoes resisted decomposition longer after being treated organically. In another study, organically grown and conventionally grown apples, potatoes, pears, wheat, and sweet corn were purchased over a two-year period in Chicago. The produce was analyzed for mineral content. It was found that on average levels of essential minerals were much higher in the organically grown food than conventionally grown food. Organic food averaged 78% higher levels of chromium, 63% higher calcium, 73% higher iron, 118% higher molybdenum, 91% higher phosphorus, 125% higher potassium, and 60% higher zinc. Organically grown food also averaged 29% lower levels of mercury than conventionally grown food. The Organic Advisory Service of the Organic Retailers and Growers Association of Australia compared nutrient content of four organic and conventionally grown vegetables. Tomatoes, beans, capsicums and silver beet were grown on a certified organic farm using compost and soil regeneration techniques. These vegetables were later analyzed for vitamin and mineral content, and then compared to a similar range of vegetables analyzed from the supermarket. Results especially showed significant differences in mineral levels. Calcium, zinc, potassium and magnesium levels in some of the organic produce were massively higher, than the supermarket produce. The Soil Association of the UK has stated that, evidence from properly conducted scientific studies show that on average organic food is healthier than non-organic food. Their research found on average, higher levels of vitamin C, higher levels of minerals and higher levels of cancer fighting phytonutrients. In addition to this they found less water in organic vegetables. They went as far as to say that alternative cancer therapies have achieved good results relying on the exclusive consumption of organic food. Therefore, given the general decrease in nutrients in conventionally grown food, in order to increase essential nutrient intake and keep pollutant intake to a minimum it would seem advisable, if not essential where possible, to eat organic food. Finally, you have to ask yourself why modern farming techniques that fill produce with toxic synthetic chemicals, the soil with chemical fertilizer, chemical defoliants, hormones, and use other toxic techniques to force out of season growth and artificially bigger yields is accepted as the norm. Ask yourself why organic farming, that uses traditional non-toxic, non-synthetic techniques has to be certified and treated like some special form of farming. Go to a crop field that uses such chemicals and/or GMO and you will find the soil is DEAD. On the other hand go to an organic crop field and the soil is teeming with life. It doesn't take a genius to work out why and which is better for the human body. We are not a separate from nature, we are part of it. Anything that is destroying the life in the soil is going to destroy life inside the cells in our body. Organic grown food should just be called "food" while modern forced farming produce should need special certification and be labeled "SYNTHETICALLY PRODUCED CHEMICAL FOOD" and carry toxicity warnings. Don't let the marketers of huge corporations, whose only motive is profit, hypnotize you with their slick catch-phrases and selling points or corrupt policy makers sway you with ridiculous legislation. Some of the studies above are over 20 years old. With the proliferation of GMO foods and even more toxic pesticides and herbicides introduced since, the problem across the board has become chronic, as has the proliferation of degenerative diseases. Less nutrients in foods and an overload of toxic chemicals causing all manner of degenerative diseases is something that only the CEOs of huge pharmaceutical corporations and agra-chemical corporations benefit from. In an age of such 'advanced' technical knowledge and so little wisdom, this is simply unacceptable, yet sadly inevitable. The very fact that a case has to be made at all for organic food shows the enormous financial power that such corporations have over governments, the media and "education" at the ever increasing detriment to the general population. At the end of the day, it comes down to choice, your choice. Choose wisely; your health depends on it.